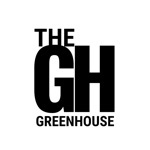 The Greenhouse will be down for a phpbb and Tapatalk update from 6:30pm Thursday 24 January. It might take a few hours, but hopefully it will iron out the bugs we've been experiencing, particularly with the mobile apps. Thanks very much to zim for volunteering to do the updates. And thanks also to nacho, who also came forward to help the site. Zim has now worked through the issues with the backup of the site with the hosts... and the timing ensures the hosts are available to assist and it is knocked over prior to the Australia Day weekend. We may have a further outage for a switch over to Google auto ads prior to the start of the season. We apologise in advance for any inconvenience it causes the members and users of the site. More one on one time with the wife. Demographers will look back from the baby boom and link it to the Greenhouse down time. We're back... but unfortunately, there's still problems with the update. I've asked zim and nacho to see if they can team up to investigate what's going on. Hopefully, we'll sort it out on attempt three! The installer for the forum is giving back a very helpful "operation has timed out" message. No matter how big you make the timeout it continues to appear. I ran this update on my test server twice with stats comparable to TheGH and the install was quick and painless so it's obviously some other error that's not appearing causing the issue, or something unique to TheGH site that I'm missing. Nacho is being tagged in. Come on guys, there's only a certain amount of time I can spend with Mrs PJ. This is all Billy T's fault. zim wrote: , or something unique to TheGH site that I'm missing. Be forewarned; history shows I go down for long periods without results. This shouldn’t bother too many users! But nacho will be aiming to do a phpbb and Tapatalk update at 1am AEST Sunday (tomorrow) morning, 27 January. So if the site is down... that’s why! Thanks to nacho and zim for helping us out. Hi guys, sorry, we need our hosting provider to change a few things to make this possible! It won't be happening this evening. Wow! The site is incredibly fast! Any glitches you notice, please post them... nacho has said he will fix them when he can. Nacho, the post a reply function, the quote function and the edit function is not working I’m afraid. Looks to be the same or similar issue with replies to PMs which I know you are working on and requires Go Hosting to take some steps first. They are working in the Tapatalk apps. The quick reply box is working, but not if you attempt to preview and format a post. Sorry to add to the list nacho, but the word censor works in Tapatalk, but not on the site itself. nacho has made some adjustments, so the bugs are ironed out, but it is slower... he'll do some more adjustments once GoHosting can fix something on the server, so the speed is lightning fast again! Hi guys, this error is now fixed. Those final adjustments have now been done... thank you to nacho and zim for all their efforts the last couple of weeks! Nacho has now installed auto ads as well. This should generate us more revenue, but you'll probably see ads in different places now, and possibly more of them. If anyone is experiencing any final glitches... let us know. I think they're all ironed out though. Thanks to nacho and zim for their time and effort. They've done the site a great service! If all the problems with the website have been fixed now, then why can I still post? I still can't get over how fast pages load now! I’m not sure we can affect the speed of that. But hopefully all the glitches are gone with the apps. Let's hope it sorted out the 'GE' State of Origin 'glitches' later this year. I don't think it'll sort out the 'NSW supporter' State of Origin 'glitches' either. Now, now GE. Dont be a sore loser. Yep, that glitch is still there. Yeah there are two bottlenecks there, your internet, and the app proxying the site. I think you'll find tapatalk sends your request to the US, then back to Aus, then the return loop goes from Aus, to the US, and back to you.